If you’re not already aware of it, short sales are a different animal as compared to more traditional home purchases. Usually the short sale lender will allow certain closing costs to be paid from the proceeds of the sale but not all costs involved. Like any real estate transaction each situation is unique but usually the prorated taxes, 6% sales commission on the home, attorney’s fees and recordation taxes are allowed by the lender. Other costs (such as termite inspections, the buyer’s closing cost credits and others) may be negotiable depending upon the sale price of the home and many other factors. Believe it or not the closing cost that seems to cause more headaches than anything else during a short sale is delinquent HOA fees. Although the short sale lender usually allows the fees to be prorated they are not usually willing to cover any past due fees. In some cases this can amount to thousands of dollars depending upon how long the fees have not been paid and the length of time it takes to get to the closing table. Keep in mind that these fees continue to accrue regardless of whom owns the house. The best way to avoid this situation is for the seller to keep their HOA fees up to date so that there are no last minute “surprises” for the buyer(s). 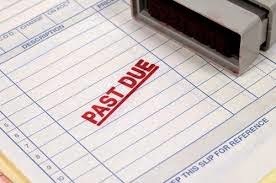 If you are considering buying a short sale its well worth your time to find out if the HOA dues (if any) are current. More often than not you will be the one required to pay if they are not. It’s also good to know these things in the beginning so that you can be prepared at closing time. A few thousand dollars may not be an issue if you are getting a great deal on a short sale but finding out at the last moment is never a good thing.